You aren’t Warren Buffett. Stop trying to invest like him. The name comes from Pollack’s offhand comment to Olen that all the financial information you need could fit on one 3-by-5-inch index card. And so after popular demand, he wrote down the a few rules on an index card, snapped a photo of it and posted it on his blog. It went viral. Based on that index card, the book offers 10 straightforward rules to live by financially. All the personal finance advice you need, according to Harold Pollack. I chatted with both authors on why you should never — never — buy individual stocks, why you aren’t Warren Buffett, the Jim Cramer effect and other personal finance tips. For more, watch this week’s Making Sen$e report, and read an adapted excerpt from the book on first rule, “Strive to Save 10 to 20 Percent of your Income.” The following text has been edited for clarity and length. Kristen Doerer: Rule No. 4 in your book is to never buy or sell individual stocks. Why do you suggest that? Harold Pollack: Well, there are really a couple of reasons. The first thing is that the research is completely clear that individual investors are just terrible at picking winning stocks. One of the more pathetic studies shows that the stocks that people sold outperformed the stocks that people bought. It wasn’t even random! In another study, 2,800 funds were examined over a long period of time, and I believe 2 of them outdid an equivalent market index. We chase after shiny objects, and I think we tend to think that the people who do a really bad job in the stock market are the frantic day traders in their basements going crazy, but the truth is it’s really all of us. On the one hand, that’s very humbling news, you’re probably not going to be the person who would’ve bought Apple just in time and held on to it. On the other hand, wow, it saves so much time. You can spend your time and brainpower and emotional energy figuring out how to be good at your day job, how to do things for your family and the people that are close to you in your life — those are the real things that you can control. And when you buy an individual stock, the person that’s across the table from you is a person who has more training than you do, who has more information than you do, and this is really their full-time job. That’s just not a game that any of us really should be playing, and we should welcome the fact that cheap index funds are basically going to do a lot better than we can do on our own trying to find out whether Chrysler has the next generation of innovative new mini vans or whatever. 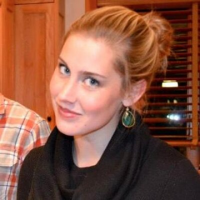 Kristen Doerer: But assuming that you do your research and everything else, is it still a bad idea? Helaine Olen: You are still guessing at the future. Studies have repeatedly shown that we have less than 1 percent ability to pick out stocks over and over again so that we’ll outperform the market. We are not beating the indexes. And this this is isn’t just me and you by the way, this is anybody. People think, “Oh, then I’ll go find some professional who can do this.” But this is anybody. This is the dude running the hedge fund, the insurance company, the financial adviser. Less than 1 percent of people out there have the ability to year in and year out outsmart the markets. And then you have to ask yourself the next question that nobody actually thinks to ask, because we are so important in our own heads. If somebody actually has this ability, if I’ve actually stumbled in to an adviser of the less than 1 percent, why on earth are they telling me and my $10,000 or $20,000 or $200,000? Shouldn’t they be off finding Warren Buffet somewhere? Or even better, shouldn’t they be on a yacht off of a Caribbean island trading tax free and making themselves a billionaire? And the answer to question that is yes. That’s exactly what they would be doing. Why would they be telling you? So there’s a certain dearth of common sense that creeps in here too. Kristen Doerer: In the book you call Louis Rukeyser, who hosted “Wall Street Week” on PBS, “the world’s greatest villain.” So first of all, what do you mean by that? And secondly, what do you have against PBS? Harold Pollack: [laughter] I promise you that I don’t have anything in general against PBS, but people think that the problem people have when they get unwise investment advice is that it’s coming from the sort of gonzo characters like Jim Cramer. And that’s one aspect of it, but Louis Rukeyser was urbane and charming, and he had a wonderful program on PBS that had 4.5 million viewers every week at its peak, which is really more than the Wall Street Journal readership. Many, many people would watch him faithfully. Rukeyser would have his pals come on the show, and in a charming way, they would try to identify which stocks were winners and which stocks were losers and what would happen to the stock market over the next year. And the people who guess right were praised, and the people who guessed wrong were gently chided. In fact, I was watching one of their programs from 1999, and it was just painful to see some of the stocks being recommended on the show. Sure, some of the picks were good, but the basic point that you shouldn’t be doing this at all was just not emphasized. I think when he started the show it was excusable that he ran the show the way he did, but he didn’t really change with the times, as new research came out that was so definitive that ordinary investors should be investing in index funds. And he legitimated a lot of the less reputable financial journalism that came after him. He’s perhaps not the world’s greatest villain — I think there are people like Gaddafi that I’d put ahead of him — but he did spread a harmful message to ordinary investors unwittingly. Kristen Doerer: In your book, you have a subchapter that just says “You’re not Warren Buffett.” Can you tell me a little bit more about why I’m not Warren Buffett? Harold Pollack: So none of us are Warren Buffet. In fact, Warren Buffett tries to remind his children that they are not Warren Buffett, and he advises them to invest his fortune in index funds rather than try to emulate what he did. And I think there are a couple of important points — first of all, Warren Buffett has tens of billions of dollars and access to information and resources that the rest of us don’t have. Also, because he is a marquee name, people are offering him deals, because he really is Warren Buffett. If I’m trying to set up some sort of leveraged buyout and I say Warren Buffett is one of my partners, that brings an instant legitimacy to me. 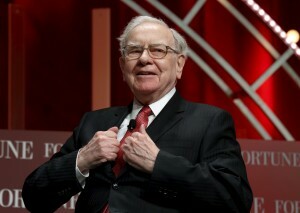 So there’s really nothing about the way that Warren Buffett invests that I can emulate as an ordinary investor myself. People like Warren Buffett are just doing a fundamentally different activity with fundamentally different sources of information than what I’m going to have. So I have to let go of the possibility that I might become a billionaire by playing them that way. Kristen Doerer: So if it’s clear that people aren’t Warren Buffet, if it’s clear that the best bet would be to invest in index funds, why do people continue to think it’s a good idea to invest in individual stocks and play the stock market? Helaine Olen: Well, it’s marketed at them. It’s this idea that “We can help you outsmart all of this.” That’s how the financial services industry makes their money; index funds aren’t the cash cow. The cash cow is with people who trade constantly, who would put their money in managed mutual funds, who will do things like options, who can be convinced to invest in hedge funds. Harold Pollack: Why do people go to casinos is part of the answer. So there’s a thrill, and there’s always the possibility that you will be the person who makes it big and speculates. And especially when people are really anxious about having enough money for their retirement or to send their kids to college, of course, people are going to be tempted to take these kind of high-risk strategies with their own wealth. Kristen Doerer: And to go back to Jim Cramer, in the book, I believe you mention the Jim Cramer effect, where people would listen to what he had to say on CNBC, a huge swath of those people would then invest in that stock and then the stock would eventually go down. Harold Pollack: Well, if you knew what Jim Cramer was going to say on his show, many people have tried to basically buy the stock before he talks about it, or people have tried to short the stock after he mentions it. Why? When stocks are mentioned on TV, they sort of get puffed up, and then they tend to plummet. And I don’t know whether Jim Cramer has done worse than anyone in this business, although he’s certainly had some catastrophic bad calls — there’s a famous clip of him saying, “Don’t pull your money out of Bear Stearns.” But certainly, the only value you get from watching Jim Cramer is that you now understand what a herd of people who follow Jim Cramer might do. You really don’t learn much about the fundamental value of the stocks that he’s talking about. And fundamentally it’s just something that people shouldn’t be doing. My colleague, Richard Thaler, president of the American Economic Association, has commentated that you’re really better off financially watching ESPN than you are watching financial news channels in terms of your stock performance. And I think the quality of journalism in sports is a lot higher, because if you get it wrong, your hypothesis is rejected right away.